Sindy is barking mad about dogs. Pups large and small make Sindy smile. 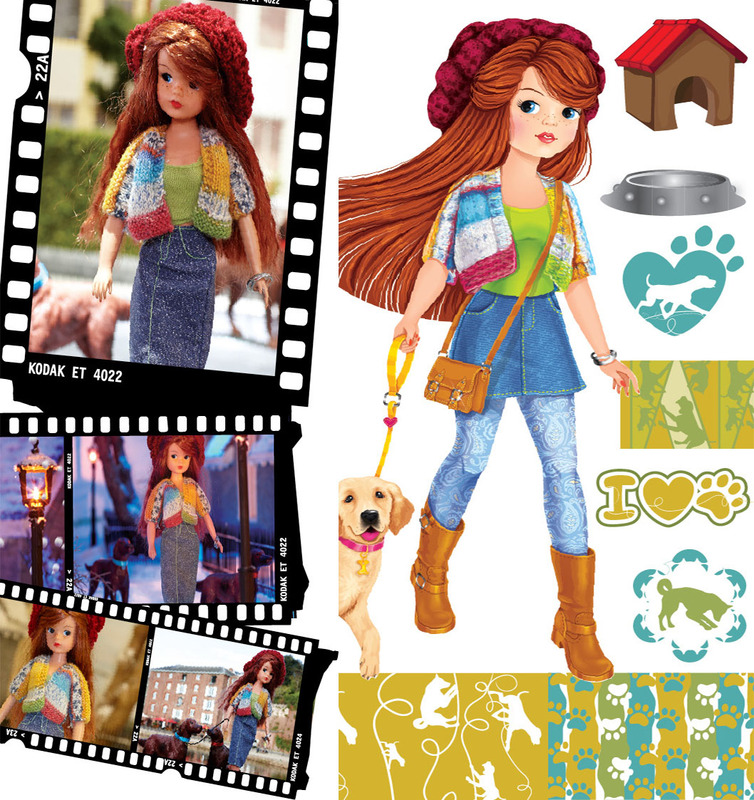 Long walks with her dog Murray are Sindy’s favourite pastime. She loves the exercise and the fresh air, as well as spending time with her furry companion. She adores playing ball or frisbee with Murray as well as canine cuddles. Cheeky Murray likes to splash in the pond and tread his muddy paws all over Mum’s carpet! Because she spends so much time outdoors, Sindy’s wardrobe is stylish but practical. Boots and leggings with a short skirt and funky jumper are ideal for a doggie day out. If it’s cold, the flame-haired teen accessorises with a cosy woolly hat. Pup-perfect!